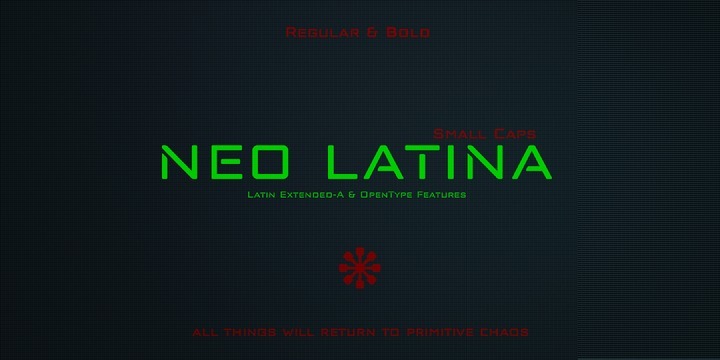 Neo Latina is a sans serif typeface created by Fernando Haro and published by deFharo which is available in 2 styles, a wide range of OpenType features and multilingual support. It was designed to be suitable for typographic use, in any sizes for screen & print. Also it can be use for graphic design, poster, video games, logo, editorial etc. Have fun! Price: both for only $48,00. A font description published on Tuesday, October 10th, 2017 in deFharo, Fernando Haro, Fonts by Alexandra that has 1,710 views.